Flat lay images are a fantastic way of capturing the essence of a season, showcasing your style of work and capturing your audience and potential clients on social media. Instagram being the number one platform for visual creatives, we will focus on creating content for a captivating feed that can also be used in other areas. With just one stunning flat-lay image you can tell a story, create a mood. A well composed image can look simple and straight forward but there are ways of creating a harmonious feel, using the right backgrounds, exquisite colour combinations and complementing props. Eva Nemeth has created many flat lays for her work either in her garden or in collaboration with flower growers and florists. Her Instagram feed is one of the most beautiful flower and garden focussed image collections. She is inspired by the countryside, gardens and her work has been published in many national magazines including House and Garden, Country Living and Gardens Illustrated. 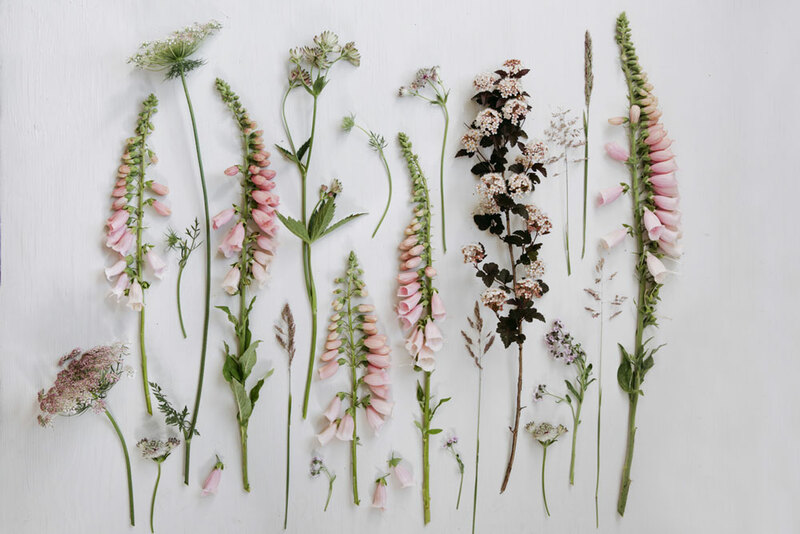 After going through the basics, we will look through all the seasonally available flowers, plants, foraged ingredients and select flowers and other material for your own flat-lays that you’ll be able to create with Eva’s guidance. Price includes all materials, drinks and light refreshments. Please get in touch for more details or to book this class.